Are you trying to decide if you need a catastrophic injury attorney? 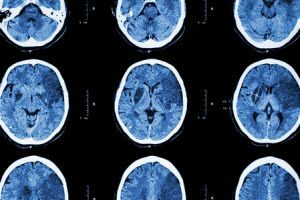 Brain injury cases are about more than the initial accident that caused harm. A person with this type of injury will live with the aftermath for the rest of his or her life and needs a catastrophic injury attorney to ensure the best possible outcome. Someone injured in an accident, fall, or similar traumatic event needs all the help they can get to regain the skills of daily living and potentially resume working or participating in activities they enjoy. When the brain sustains an impact or suffers an adverse response to medications, products, or an outside source, it can result in serious injury. Even repeated concussions from contact sports can result in brain injury, as many former professional football players are now discovering. Brain injury can impact the individual’s ability to think and function, to feed his or herself, or even to walk or move freely. While every case is unique and brain injury can stem from a variety of causes, the result is a complete change to not only the injured person’s day-to-day tasks but also to their potential earnings, enjoyment, and quality of life. A catastrophic injury attorney understands the far-reaching implications of this type of injury and the need for a settlement that truly addresses the damages sustained. How Can a Catastrophic Injury Attorney Help? A catastrophic injury attorney understands the implications of a brain injury and the type of compensation you’ll need to resume your normal life. Brain injury treatment goes beyond the simple medical care needed at the time of the accident. From home and vehicle modifications to personal care and nursing needs and even job retraining, the brain injury victim will face many challenges. Thus, they require a substantial and fair amount of compensation for their injuries. If you or someone you love has sustained a brain injury, you need a legal team on your side with experience in brain injury suits. At Williams & Williams LLC, we are ready to go to work for you to provide the legal guidance and support you need to proceed in your case. Learn more about brain injury and how a catastrophic injury attorney can help by contacting our team at Williams & Williams, LLC online today.